How does the court system work? What is the next step in my lawsuit? When is the other party going to file its documents? What is a motion? What happens at a pre-trial hearing? What must be done to get a trial date scheduled? What is going to happen next? And when? In this series of articles, we will take a brief look at the way Ontario's litigation process works. We can't promise that it will be the most exciting read we've ever offered, and the truth of it is, much of this subject matter is by definition a bit technical. However, we hope it will be a bit of a step-by-step resource and roadmap for individuals encountering Ontario's civil courts and judicial processes for the first time - and maybe even for those who are there for the second time, too. 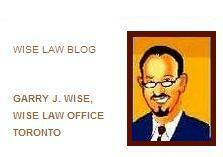 In this installment, we'll discuss the steps involved at the beginning of a legal action in Ontario. We'll go over some basic, preliminary definitions, and then canvas the steps and timeframes applicable at the outset of an Ontario civil lawsuit. All procedures in the Province's civil court system are governed by an Ontario Regulation called the Rules of Civil Procedure ("The Rules"). The Rules are the bible of Ontario civil litigation. They set out the groundrules covering each step in a lawsuit, often to the most minute detail. They are complex at time, and parties often require the assistance of Ontario's motions courts to interpret their intricacies. It would not be possible to canvas the Rules fully in articles of this scope. For the benefit of our readers, however, we will address the major steps in a lawsuit, without delving into the finer procedural details. Plaintiff - c. 1400 - from the "Anglo-Fr. pleintif (1278), noun use of O.Fr. plaintif "complaining," from pleint...Identical with plaintive at first; the form that receded into legal usage retained the older -iff spelling. Defend - c.1250, from O.Fr. defendre, from L. defendere "ward off, protect," from de- "from, away" + fendere "to strike, push." In the Mercian hymns, L. defendet is glossed by O.E. gescildeð. Defendant is from O.Fr. prp of defendre. A pleading is a formal legal document filed by a party to a lawsuit that sets out the party's factual allegations and legal position in the court proceeding. In Ontario's court system, the pleading utilized by a plaintiff to commence a a civil suit is called a Statement of Claim, while the Defendant's responding pleading is called a Statement of Defence. The term "civil litigation" refers generally to all court proceedings between private individuals and/or corporations in which compensation or other legal remedy is pursued by one against the other. Typical categories of civil litigation include wrongful dismissal, personal injury, defamation, negligence, malpractice, product liability and debt collection claims. There are two levels of trial court in Ontario's civil justice system. The Superior Court of Justice is Ontario's high court. It has branches throughout the province, and was previously known as the Supreme Court of Ontario. Small Claims Courts also operate throughout the province, and as implied by the Court's name, adjudicate matters of lower financial value. Ontario's Small Claims Courts have jurisdiction to determine claims valued at up to $10,000.00. The Court has its own distinct procedures - the Ontario Small Claims Court Rules. Small Claims Court forms, which are required in all actions in the Court, are available for free download online from the Ontario Court Services website. Our comments below are not applicable to Small Claims Court actions. Family Law proceedings also have a discrete set of rules, practices and procedures, set out in Ontario's Family Law Rules - that differ from the steps below. 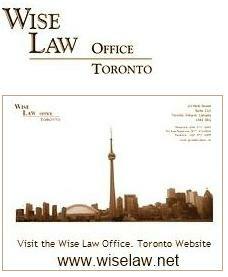 We will be addressing Ontario Family Law procedures in a subsequent article. In the Ontario Superior Court of Justice, there are two procedural streams available for Ontario's civil actions. The Court's Ordinary Procedures apply to all actions in which claims are advanced for compensation of more than $50,000.00. The Court's Simplified Procedures apply to actions in which compensation of not more than $50,000.00 is claimed. If there is more than one Plaintiff, and if each Plaintiff’s claim is not more than $50,000.00, the action will be governed by the Simplified Procedure, even if collectively the claims exceed $50,000.00. The Simplified Procedures are intended to streamline court processes in order to limit legal expense and expedite resolution. The main procedural difference between Simplified Procedure actions and Ordinary Procedure actions is that under the Simplified Procedures, Examinations for Discovery are not available. These examinations are part of the disclosure process, discussed further in our next installment. Both streams follow the same processes to initiate a lawsuit in Ontario, so our comments that follow about this initial stage will apply to proceedings commenced under both the simplified and ordinary proceeding Rules. Note: We have included hyperlinks within the text that follows to the specific Rule that relates to each document and step discussed. Clicking on the highlighed text will take you to the applicable Rule in Ontario's Rules of Civil Procedure. A legal action is commenced with the issuance of a first pleading, a legal document referred to as an originating process, at any Ontario Superior Court of Justice office. This step, of course, must be completed before the expiry of any deadlines, or limitation periods, applicable to the proceeding. It is critical that you consult with a lawyer to determine the deadlines that may be applicable to your specific circumstances. Most Ontario lawsuits are commenced with a pleading called a Statement of Claim. The Statement of Claim must be personally served upon each Defendant within six months of its issuance. Certain, types of court proceedings that are specified in the Rules may be commenced with a Notice of Application, rather than a Statement of Claim. Please note that we will not be addressing procedures in these kinds of cases in this article. Timeframes for delivery of a Statement of Defence: Once served with a Statement of Claim, each Defendant who has been served in Ontario has twenty (20) days from the date of service to deliver Statement of Defence. If a Defendant is served elsewhere in Canada or the U.S., the Defence must be served within forty (40) days. If a Statement of Claim is served elsewhere in the world, a sixty (60) day deadline applies. A Defendant may automatically obtain a ten-day extension of the applicable deadline if a Notice of Intent to Defend is delivered within these timeframes. A Plaintiff may deliver a Reply to the Statement of Defence within 10 days after service of Statement of Defence. If no Reply is filed, all allegations in the Defence are deemed to have been denied. If either party wishes that the action to be tried by a Jury, a Jury Notice must be served before close of pleadings (pleadings are deemed to have closed when a Reply to the Defence is filed or the time to file a Reply expires). Counterclaims, crossclaims, and third party claims - A defendant may advance its own claims against the Plaintiff(s) by delivering a counterclaim. A defendant can also advance claims against another defendant in the action by delivering a crossclaim. A claim against another person or entity that is not already named in the lawsuit may also be advanced by a Defendant upon delivery of a third party claim. These claims must be defended after service within the timeframes set out above for delivery of a Statement of Defence. If a claim is not defended, a Plaintiff may proceed to default judgment. In simple cases, this may be done by filing a Requisition for Default Judgment with the Registrar of the court. In more complex cases, it may be necessary to proceed before a Judge with a motion for default judgment, at which proof of the allegations in the Statement of Claim must be tendered. Once all pleadings are in place, the next step in an Ontario civil lawsuit involves documentary disclosure - the delivery and exchange of Affidavits of Documents and the production and disclosure by all parties to each other of all relevant documents and information that relate to the issues in the litigation. Finally, we'll be providing what we feel will be a most important conclusion to this series, our upcoming article, "To Sue or Not To Sue." 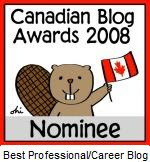 That article will look at the practical and economic considerations involved in proceeding with a lawsuit in Ontario, including a frank look at what courts can - and cannot - typically do for litigants in the Province.